What is Organ donation and Why you should donate ? Organ donation is very close to my heart . The word ‘Donation’ is basically a kind of gift given for the welfare of others with or without cause. Donation can be given in various forms like money, used or new goods and vehicles. 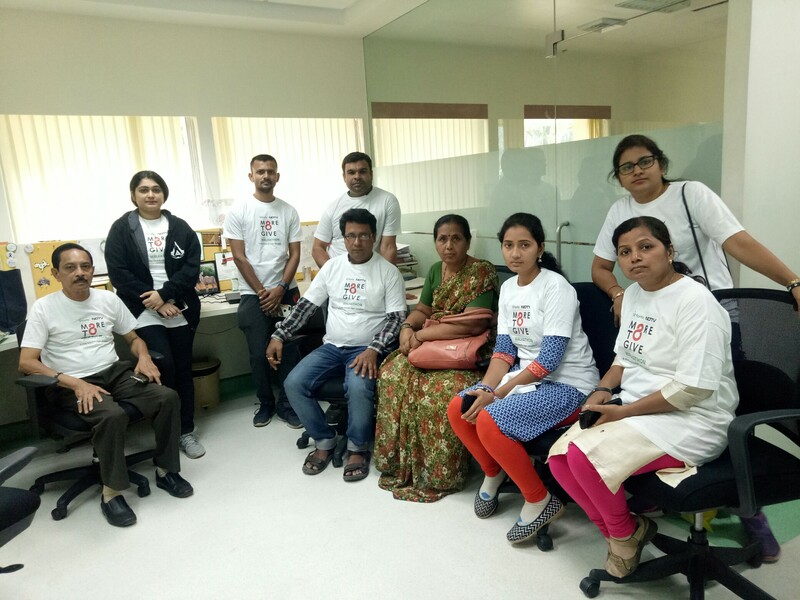 Donation may also be in the form of medical care needs like medicinal donation, donation of organs and also donation of blood depends on the situation. It is believed that Maiden daan in simple words Kanyadaan is the biggest daan. But looking at the present scenario where Science has explored to a height and where everything is possible, organ donation can be said as the biggest daan (donation), although it was not possible in the past but today it is possible. There are two types of Organ Donation: Living Donation and Deceased Donation. Living Donation happens when a living person decides to donate his or her Organ(s) to someone in need. Deceased Donation is the process of giving an organ or a part of an organ at the time of Donor’s Death with the purpose of transplantation to another person. Living Donors are basically family members or close friends of a person who is in need of a transplant. But in some cases a person donates his/her organs when desperately in need of money. While in the Deceased Donation an individual must be Brain Dead . Living Donors can donate limited number of Organs like one kidney, a part of pancreas, a part of liver because and they stay alive even after the transplantation. 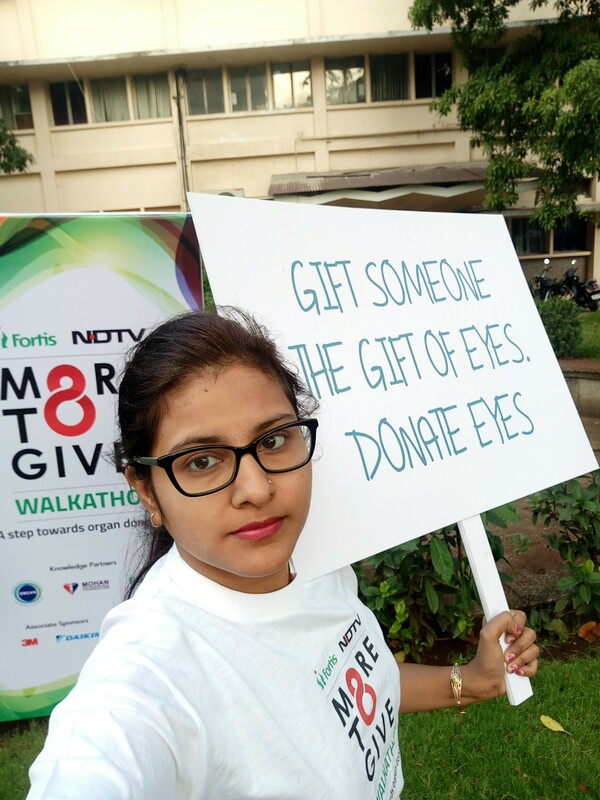 While in case of Deceased Donation, a deceased donor can give a Heart, Pancreas, Kidneys, Liver, Lungs, as well as tissues like Cornea and Bone Marrow also since the Donor in this case is Brain Dead. Registration oneself as an Organ Donor is a very generous decision which not only save lives of others but in return you gain a lot of blessings. Almost anyone, regardless of Gender, age or of different race can become an Organ Donor without any cost. The only essential thing is to create the awareness about Organ Donation, to make people understand how important and beneficial it is to donate an organ to others. One has to go to hospital and register as organ donor , hospital staff takes all necessary details and gives you a organ donor card, in case you want to donate a particular organ under living condition ,you have to follow some fixed norms made by Govt of India. And you can always tell your Family about your good cause, so that after your death they can donate on your behalf. 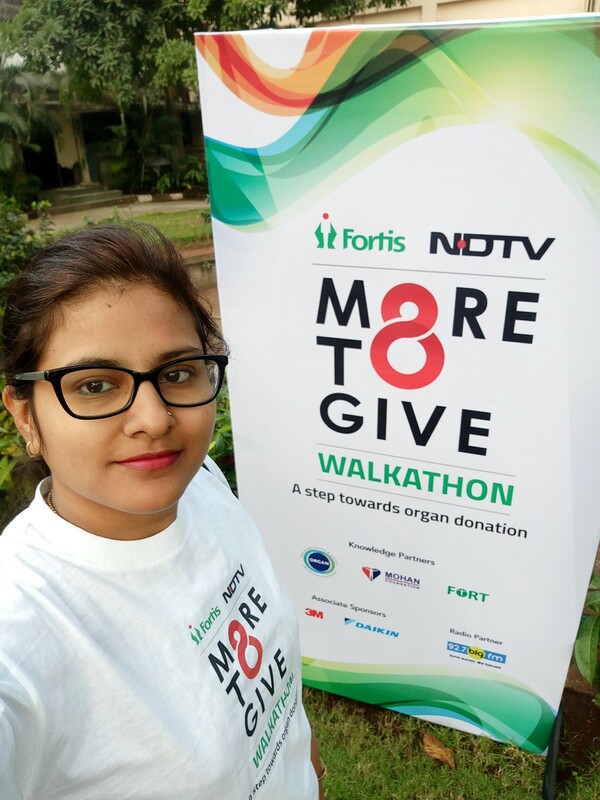 So with the reason to create awareness among the people, Fortis Hospital Mulund in Mumbai organized a Walkathon on the Occasion of Indian Organ Donation Day, 27th November, 2017. With the intention of creating awareness about the loss of lives which occurs for the want of Organs. About 1000 people participated in the Walkathon including school children’s, adults as well as old age people. Celebrities like GulPanag also supported by leading the walkathon. I was looking forward to this Walkathon since a long time, and finally I got the chance to attend such a special event. The best part of this Walkathon was to know that so many people are aware about the benefits of Walkathon, and so participated in large number. Attending the Walkathon, I realized that Walkathon is very important for everyone. It helps us to stay fit and healthy for a long time. A person feels fresher and healthier after a daily walk. I had a great fun and enjoyed a lot in this Walkathon with the company of small kids. The interactive sessions with them during the walk helped me to forget my tiredness. I met two families Mahesh bichkar and Sneha Sunil Yevlokar. Their families have donated 6 organs each from the family members who has died in accidents. The recipient families were overwhelmed and they were healthy ,fit and fine and were thankful to donor families. When a person donate an organ to the person in need, saves the life of a recipient and you can clearly see the happiness on the face of their relatives, so I think there is nothing wrong if you donate your Organs after Death, which can give new life to someone at some other place. 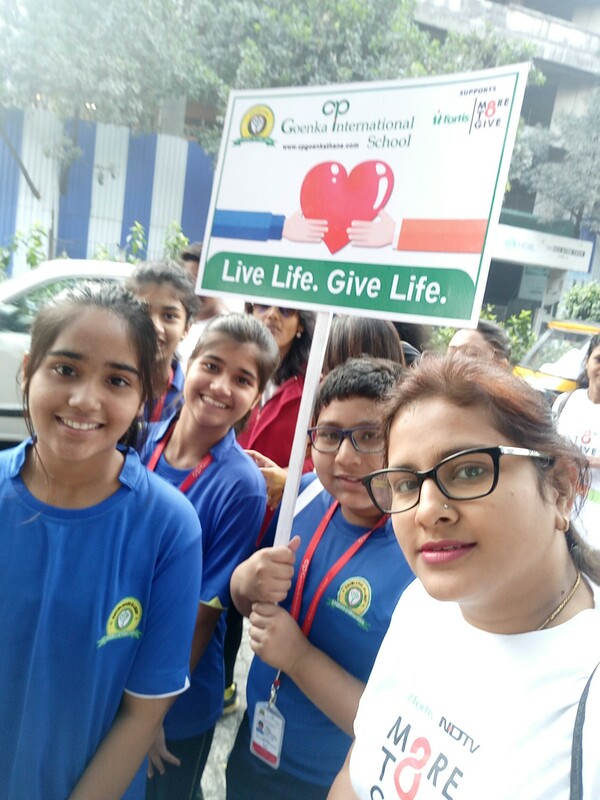 Walkathon’s like these should be organized more so that the people who are not aware of the Organ Donation come to know about it. I have also organized a seminar in my Jain community about organ donations long back. And lastly this is my official declaration to the world that I have registered as myself for organ donation and donate my organs after my death. I want everyone who is reading it to register as organ donor.